Recently I went on holiday to Madrid and Barcelona. What has developed into a natural impulse for me is documenting the graffiti in foreign cities. I never realised how much I liked graffiti until I went through photos on my camera and phone, only to find I am slowly gathering a personal archive of street art. I was in Berlin last summer and absolutely fell in love with the street art there, with the streets and pavements filled with vibrant colour and beautiful art. A lot of people have mixed feelings about graffiti; some thing it is defacing the urban landscape, others think it brings life to the streets. I am of the latter opinion, as I believe creativity should flourish in the most unexpected places. I particularly love chalked graffiti on the pavement, as the transience adds a melancholy to the experience of viewing. I also feel art is an integral part of life, so what better way for it to be integrated into our lives than through the streets? Since reading John Berger’s ‘Ways of Seeing‘ (2008) a couple of years ago, I have become an advocate for what he terms the ‘visual essay’. Dispersed throughout the essays in this book are images collected and formulated into essays themselves. Devoid of text, yet united thematically, the visual essays force you to look and think for yourself. They allow you to reflect on the content of Berger’s essay and then apply visuals to his discussion. 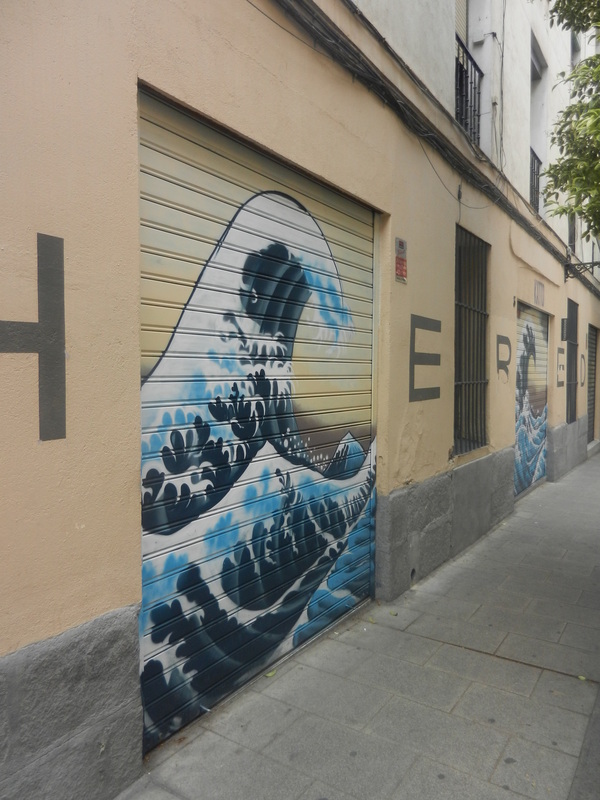 I find this way of looking and reading incredibly inspiring, so below is my visual essay of graffiti found whilst in Madrid and Barcelona.